This is such an easy way to elevate plain-old chicken. The marinade infuses the meat and makes it super-juicy, even on the grill. Pair with garlic pasta, sliced on a salad or with grilled focaccia bread and provolone cheese. Thaw the chicken, if frozen. Place in a zip-lock storage bag. Mix the rest of the ingredients in a separate bowl and pour over the chicken. Coat well and seal the bag tightly. Refrigerate for at least four hours, but best overnight. Heat an outdoor charcoal grill with enough coals for a medium-hot fire. When the coals turn white, level them and put the chicken on the grate over direct heat. Baste with the marinade. Cook until slightly charred on one side, then flip over. Cook until juices run clear but do not over cook. Remove from the grill, slice into 1/2″ strips and sprinkle with the grated parmesan while still hot. Serve with your choice of pasta or side dish. This recipe is not for the faint-of-heart. 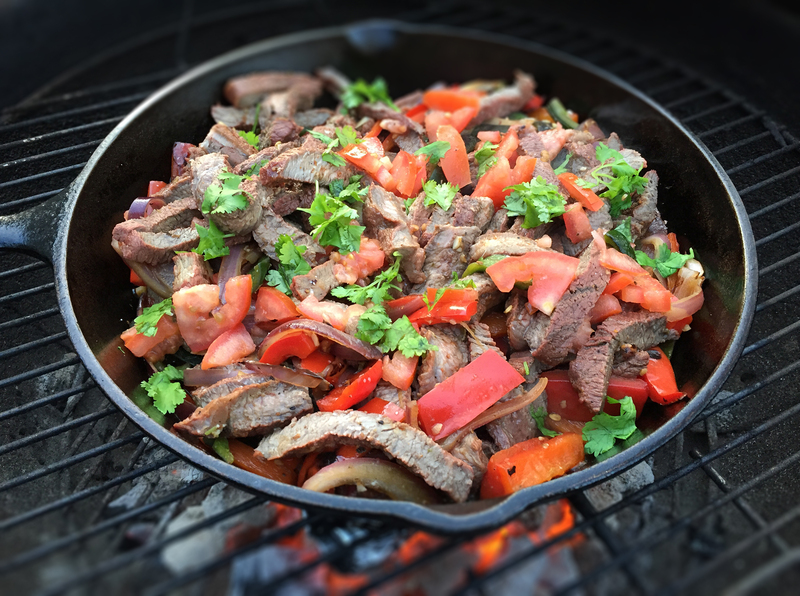 The rub on the steak is killer and adds a completely new dimension when thrown on the grill with the onions and jalapenos blackened over mesquite wood chips. An Indian Summer favorite. 2 tbs. masa harina (cornmeal) used as thickener. Wash and soak the dried pinto beans overnight in a covered bowl filled with water on your kitchen counter. Soak the mesquite chips in water for at least 1 hour before grill time. If you’re in a hurry, you can also smoke them dried when ready to grill in a tinfoil packet punched with a few holes. Preheat your charcoal grill with enough coals to cook 3-4 steaks at the same time. My Weber® 22″ kettle grill is awesome for this purpose. While the grill is preheating, brush the steaks lightly with olive oil and liberally sprinkle the rub on each side of the steak, being careful not to touch your eyes, or breath in the dust particles. Using a pair of food service gloves or a sheet of plastic wrap over your fingers, work the rub into the meat. Place aside on a plate. On a separate cutting board, quarter the onions and brush with olive oil. 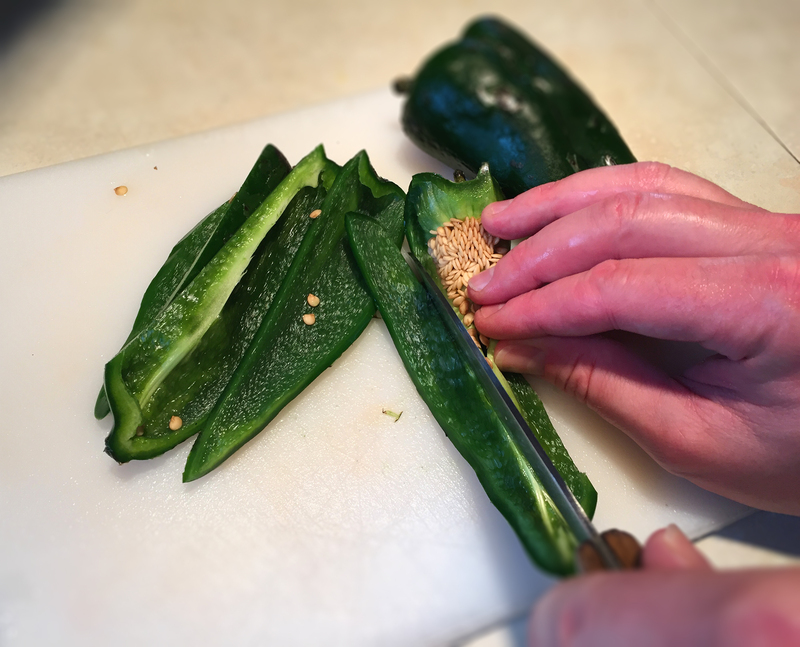 Stem the jalapenos (leave them whole) and place in a serving bowl with the onions and mix until coated with the oil. Take care not to let the onions fall apart. When ready to grill, throw the whole mesquite chips or enclosed tinfoil packet on the coals. Place the onions and jalapenos on the grill using a pair of long tongs. Let the surfaces blacken. Rotate once and remove to a covered bowl. Place the steak on the grill and sear each side quickly to seal in the juices. You do not need to cook the steak all the way through. Just blacken the outsides a bit and leave the interior medium-rare. Transfer the steak to a clean cutting board and let sit for five minutes. Heat a 5 qt. dutch oven with the beef stock, black coffee and canned whole tomatoes to a low simmer. Mash the tomatoes against the bottom of the pot with a large spoon or potato masher. Slice the steak into 1/2″ chunks and add to the pot. Drain the beans in a colander and add to the pot. Chop the blackened onion and jalapenos to the coarseness desired and add to pot. Add the dry spices, minced garlic, liquid smoke and simmer uncovered for 3-4 hours, until beans are tender, stirring occasionally. 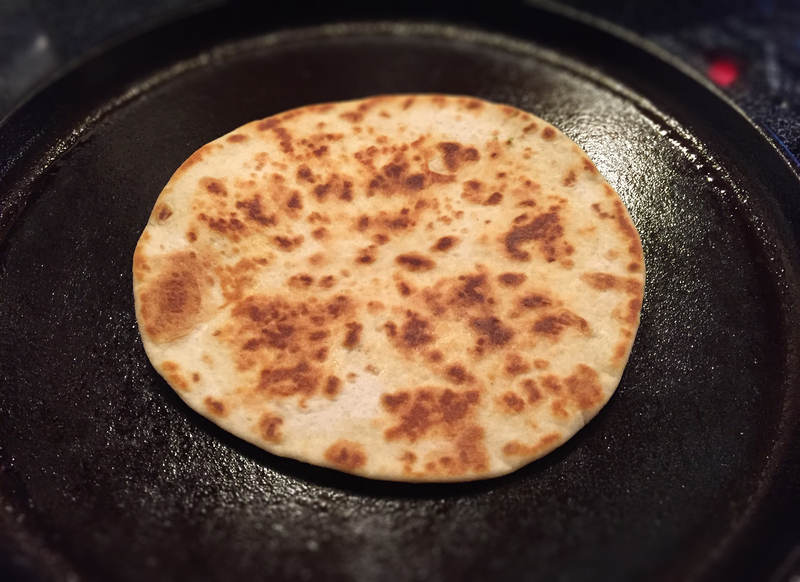 Masa may be used as a thickener during the last 15 minutes. Serve with skillet cornbread and butter.